Creator: Philipps, Sarah Susannah Buchanan. Abstract: The Sarah Susannah Buchanan Philipps Family Collection contains materials related to Sarah Philipps, one of the 35 students killed in the bombing of Pan Am Flight 103 while studying abroad through Syracuse University's Division of International Programs Abroad (DIPA). Collection materials include photographs, journals, scrapbooks, and correspondence, as well as items related to Victims of Pan Am Flight 103, Inc. (VPAF 103, Inc.) and memorials of Sarah. Sarah Susannah Buchanan Philipps was a junior at the University of Colorado at Boulder. She had joined Syracuse University’s Division of International Programs Abroad (DIPA) so that she could take a semester in London. She was survived by her brothers, James (Fritz) and Andrew, and her parents Elizabeth and Ervin. 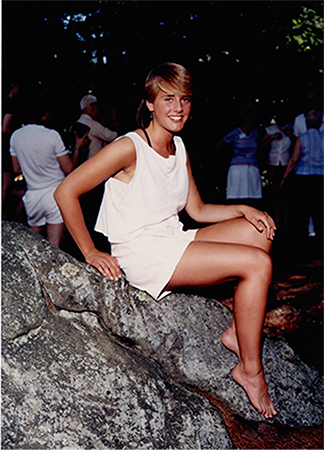 Sarah was born on August 15th, 1968, in Boston, Massachusetts, and grew up in Newton. She attended Claflin School in Newtonville, F. A. Day Middle School, and graduated from Newton North High School in 1986. 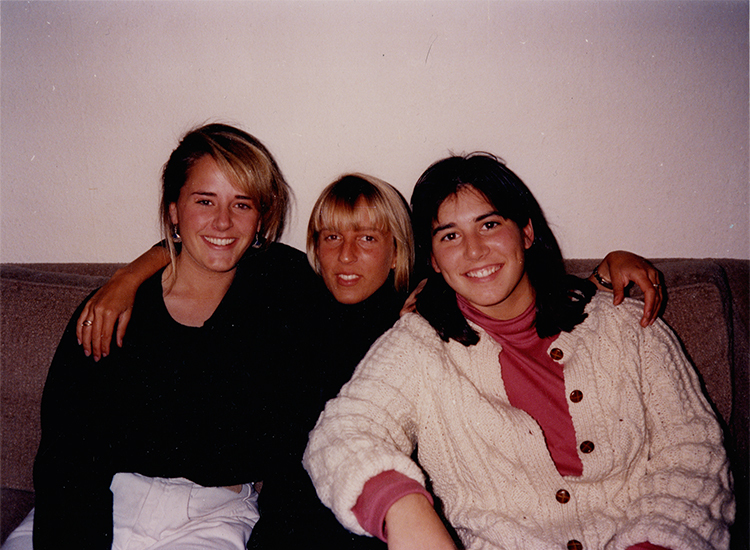 Sarah is remembered by her friends and family as being vivacious, creative, and kind. She excelled at field hockey, track, and skiing, was fond of poetry and theater, and spent her summers at Camp Hochelaga, an outdoor all-girls camp in South Hero, Vermont. Her many photographs and letters from friends that she kept are testimonies to the sensitivity and love that she had for others in her life. An English major at University of Colorado, Sarah aspired to be either a publisher or lawyer. During her semester abroad, Sarah went to fifteen plays and traveled to Scotland and Ireland with friends. Although she seemed to enjoy her time abroad, her journals and letters reveal that she was eager to return home. Sarah is among the victims of the Pan Am Flight 103/Lockerbie Air Disaster tragedy buried in Lockerbie at the Dryfesdale Garden of Remembrance in the portion of the cemetery purchased by Pan Am. 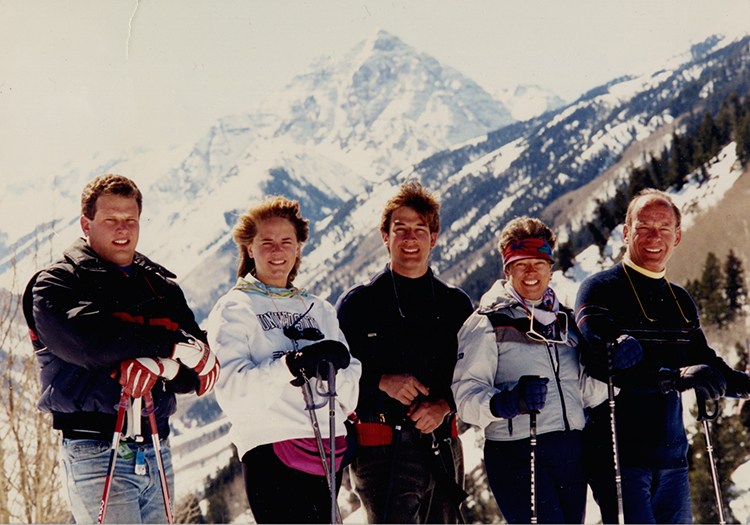 After Sarah’s death, Elizabeth and Ervin joined with other families of victims to create the Victims of Pan Am Flight 103, Inc. (VPAF 103, Inc.), an organization devoted to ensuring similar acts of terrorism could never happen again. 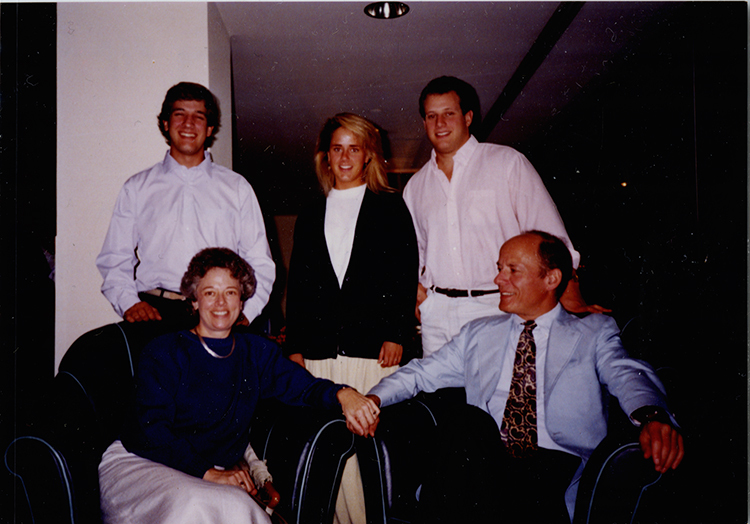 Between 1992 and 1993, Elizabeth served as president and chair of VPAF 103, Inc. and communicated frequently with dozens of U.S. senators and representatives. Elizabeth wrote a number of short pieces about her daughter, one of which, “Elegy for Sarah,” was published by The Boston Globe. 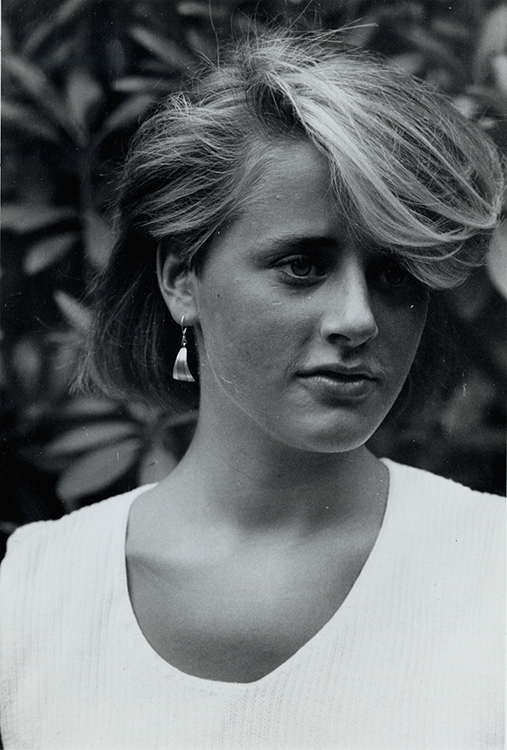 The Sarah Susannah Buchanan Philipps Family Collection contains information and materials related to Sarah Philipps, one of 35 students killed in the bombing of Pan Am Flight 103 while studying abroad through Syracuse University's Division of International Programs Abroad (DIPA). This collection includes series for Clippings, Correspondence, material about Memorials, Personal Belongings, Photographs, Subject Files, and Writings. Clippings includes articles from newspapers and magazines that the Philipps family collected regarding the Pan Am 103 bombing, Libya, other terrorist attacks, as well as Sarah Philipps, Lockerbie, and memorials. Correspondence is divided into two subseries. The first includes letters written to and from the Philipps Family . The second includes letters collected and written by Sarah Philipps. Materials are arranged by person or organization when significant, otherwise, they are arranged chronologically. Memorials contains material related to memorials at Lockerbie, University of Colorado, and Syracuse University, as well as other memorials honoring Sarah Philipps and the victims of the Pan Am 103 bombing. Personal Belongings is divided into two subseries. The first contains Elizabeth Philipps' journals, as well as her IDs from her visits to Kamp van Zeist, an army base in the Netherlands that served as the location for the trial of the two Libyan suspects. The second series contains materials owned by or related to Sarah Philipps, and includes books and personal effects from her semester abroad, yearbooks and papers from her college and high school years, and drawings and stories from her childhood. Photographs is made up of photographs taken by or including Sarah Philipps, and photos taken by the Philipps family. Subject Files includes papers, press releases, and testimonies related to the Pan Am 103 bombing, Lockerbie, and Kamp Zeist trial collected by the Philipps family. The series also includes Sarah Philipp’s vital records. Writings contains copies of Elizabeth Philipp’s “Elegy for Sarah”, along with letters written to her from students. This series also contains writings by Phil Haigh and Bill Parr, two first responders who worked in Lockerbie retrieving and identifying the remains of victims. Note: Some materials within this collection contain graphic subject matter. Some materials in the Sarah Susannah Buchanan Philipps Family Collection are restricted at the donor's request. Folders containing restricted material are noted in the inventory below. Please contact the archivist for further information regarding the access to these materials. The files relating to Kreindler & Kreindler may be viewed but not cited or reproduced until 2028. Written permission must be obtained from the Pan Am Flight 103 Archives and all relevant rights holders before publishing quotations, excerpts or images from any materials in this collection. TruthQuest newsletters and other materials related to the Victims of Pan Am Flight 103, Inc. have been separated, and placed in the Victims of Pan Am Flight 103, Inc. Collection. Dr. Ervin and Elizabeth Philipps donated The Sarah Susannah Buchanan Philipps Family Papers between 2011 and 2016; Tom Lyons and Edith Godfrey donated additional materials in 2013. This collection is fully processed and is housed in acid-free folders and archival boxes. Scrapbook materials have been removed from acidic bindings and placed in folders. Material in the Clippings section are arranged chronologically, and all other series are arranged alphabetically. RESTRICTED: The files relating to Kreindler & Kreindler may be viewed but not cited or reproduced until 2028.
Letters about "Elegy for Sarah"
RESTRICTED: Please note that some materials in this scrapbook are restricted in accordance with the Federal Educational Rights and Privacy Act (FERPA) and Syracuse University policy.